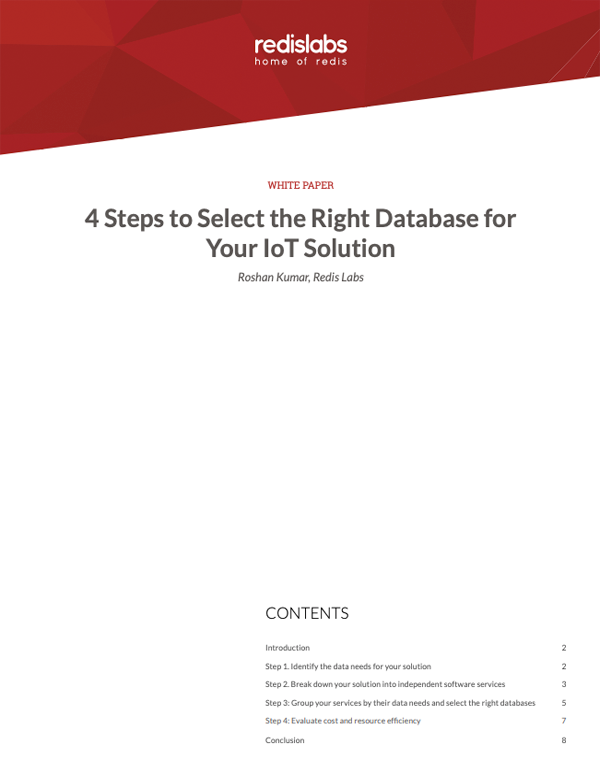 Choosing the right database platform(s) for IoT solutions is quite daunting. One challenge is location—IoT solutions can be distributed across geographical regions. Critical IoT applications that collect large volumes of data and rely on low latency are required at the edge, but there is a need to connect edge servers to the cloud for large scale processing. Many businesses are, therefore, adopting adopting a combination of both fog computing at the edge and cloud computing. And so, database platforms must offer both the flexibility to process the data at the edge, and to synchronize between the edge servers and the cloud. Schema flexibility and many more.